The VIVA Blue Spa is an aparthotel with premium facilities and a fantastic location next to the S’Albufera Natural Park, which has been declared of national interest by UNESCO. From this aparthotel, there are fantastic cycle routes where you can enjoy the beautiful Mallorcan countryside. The aparthotel offers incredible facilities, which even attract great professional sports people to stay with us. All the members registered with MHT by Toyota, will have a special price available, during all days that they want to accommodate in the Hotel. 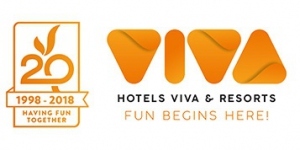 For more information about prices please contact directly to the hotel booking.blue@hotelsviva.com.